Humor and fictional personalities are both firsts for the insurance company. Move over Aflac Duck and Geico Gecko. 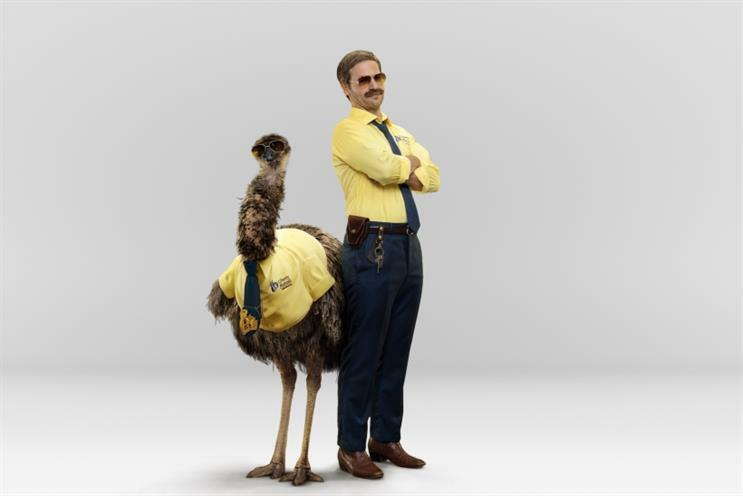 The insurance industry has a new mascot in town; in fact, Liberty Mutual now has two mascots - Limu Emu and Doug. "Insurance is interesting in that we don’t have a tangible product, so the spokes duo is a physical manifestation of our brand," said Jenna Lebel, VP of brand and integrated marketing for Liberty Mutual. Lebel said the brand likes the fact that the characters - a buddy cop team - are "one part familiar and one part unexpected." LiMu and Doug’s role is to tell people that it’s a crime to pay for one-size fits all insurance. Liberty Mutual, which plans on building equity with the new characters for a long time, is already working on the next round of work for LiMu and Doug. The brand, with creative agency Goodby Silverstein & Partners, will produce the work in May and launch it this summer. The "customization" focus for Liberty Mutual emerged out of consumer insights and research, said Lebel. "We heard that the coverage options are important, but consumers didn’t want to pay for things they don’t need," she said. Liberty Mutual has worked with Goodby Silverstein & Partners for more than a year. The agency takes the lead on creative development and major assets, like TV and radio, but the brand’s in-house agency, Copper Giants, handles the likes of display, email, direct, social and more. The new campaign will live alongside Liberty Mutual’s Truth Tellers campaign, which introduced its newest round of spots in December. "We’re really excited and we think we’re heading in the right direction," said Lebel. "We know it’s marathon, not a sprint. It’ a journey and a process." Aside from its recent campaign, Lebel said that having Emily Fink as CMO - the first female marketing leader for the brand - is an "incredible experience." "What it does internally here is she serves as a mentor for other women who may want to take on a leadership role," said Lebel, adding that the fact that Fink is a mother of three children is also inspirational.